The American Homebrewers Association (AHA) is committed to promoting the community of homebrewers and empowering homebrewers to make the best beers in the world. - Enjoy six issues of the longest-running homebrew magazine each year delivered straight to your door. Access issues hot off the press or past issues back to 2000. Download issues to your iPhone/iPad or Android phone using the free app in the iTunes and Play stores. Enjoy special offers at hundreds of participating locations, including breweries, pubs, restaurants, homebrew supply shops (including ours!) and more! 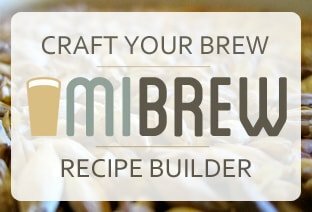 AHA Members receive 10% off all ingredients at Michigan Brew Supply. Receive pre-publication discount offers on all new releases from Brewers Publications, and receive 10% off all merchandise in the American Homebrewers Association Store. Grant applications are open exclusively to AHA members interested in conducting homebrew-related research. Members also have access to research reports. Audio and visual presentations from National Homebrewers Conference seminars (since 2012) are available for download. - Lallemand Scholarship: Enter for a chance to win a full tuition scholarship to the World Brewing Academy’s Concise Course in Brewing Technology, valued at $3,700. - AHA Governing Committee Voting: Vote for you fellow homebrewers to represent you on the AHA Governing Committee. - Legislative Efforts: Promote and preserve your homebrewing rights through the support of state legislative efforts. The NHC is the world’s largest home-made beer, mead and cider competition. The conference is a fun and educational gathering designed to increase knowledge and homebrewing camaraderie. Team up with Brewers Association (BA) member breweries for this unique competition held each year at the Great American Beer Festival (GABF). Tickets for the Saturday afternoon session of GABF are exclusively available to AHA and BA members. AHA and BA members are also invited to participate in the GABF’s extremely popular member ticket pre-sale. Rallies are great events are held across the country for members to meet up with fellow homebrewers at local BA member breweries for a day of beer and fun!